This prolific and routinely award winning games company generously sponsor Arcanacon, allowing us to exist! Chaosium are providing multiple H. P. Lovecraft inspired “Call of Cthulhu” scenarios at the con, including a shorter “learn to play” game for beginners. They will also be featuring a new version of the classic RPG “RuneQuest” for you to test run. The cultural and spiritual depth of the RuneQuest world of Glorantha is stunning. 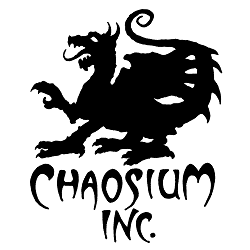 Chaosium will be displaying and selling a broad range of their amazing games at the Aetherworks stall.